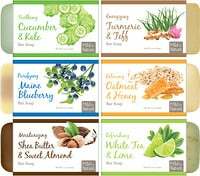 Handmade with pure essential oils. Free of sulfates and phosphates. Zum Clean is not a detergent. It's a deterrent - to pollutants, to overconsumption, to by-products, to irritants. After all, your clothes are your second skin. Would you rather wash your skin with detergent or soap? Good. Because this is not a detergent. Zum Clean is laundry soap - the only laundry soap mixed, poured and bottled by happy human hands. Yep, no machines were harmed, nor sulfates or phosphates used, in the making of this product. We pour liberal loads of pure essential oils for laundry loads that literally clear the air while they clean your clothes. But, please, don't call this a detergent. Coconut oil soap treats your second skin gently and doesn't dry it out. No drying detergents, so no need for dryer sheets! 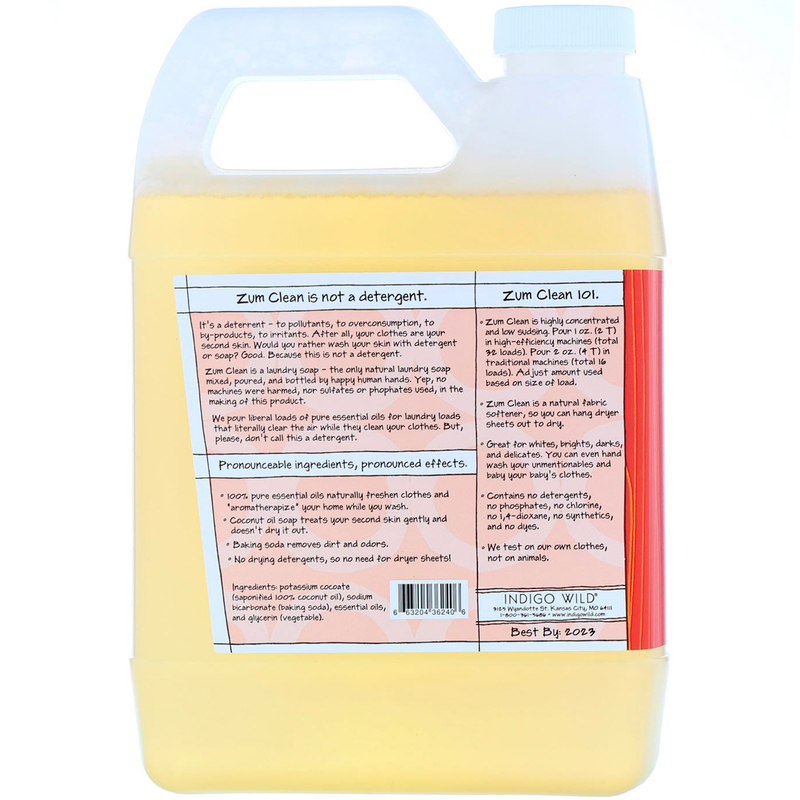 Zum Clean is highly concentrated and low sudsing. Pour 1 oz. (2 T) in high-efficiency machines (total 32 loads). Pour 2 oz. (4 T) in traditional machines (total 16 loads). Adjust amount used based on size of load. Zum Clean is a natural fabric softener, so you can hang dryer sheets out to dry. Great for whites, brights, darks and delicates. You can even hand wash your unmentionables and baby your baby's clothes. Potassium cocoate (saponified 100% coconut oil), sodium bicarbonate (baking soda), essential oils, and glycerin (vegetable). Contains no detergents, no phosphates, no chlorine, no 1,4,-dioxane, no synthetics, and no dyes.